Succumb to the fear! 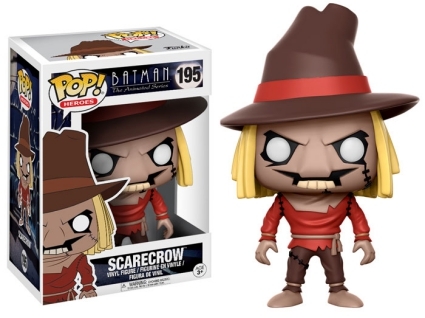 Sorry, Dr. Crane, but the Funko Pop Scarecrow figures aren't too frightening. 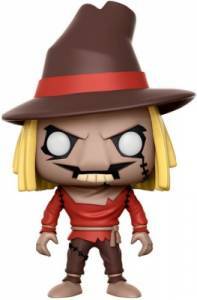 However, fans of the deranged psychologist won't be disappointed as each vinyl maintains the unique appearance only Scarecrow can pull off. One of the more terrifying DC Comics villains, Jonathan Crane (a.k.a. Scarecrow) also happens to be one of the many rivals in Batman's gallery of rogues. As a result, he appears in several of the Cape Crusader's individual Pop! Heroes releases beginning with Batman: Arkham Knight. The video game set showcases the Master of Fear wearing a surgically-placed gas mask along with a coat that has a few vials (and bullets?!) of his Fear Toxin. 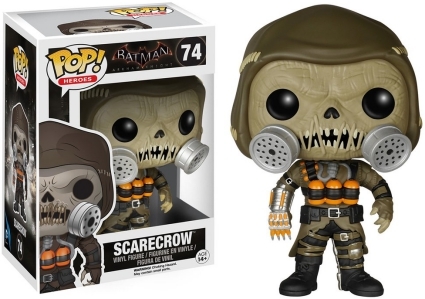 Order Pop Scarecrow Figures on Entertainment Earth. While Batman: The Animated Series is obviously a cartoon, the show carried dark undertones in part due to the Scarecrow. Even though this version is not quite as chilling as the character from the live-action movie or game, the burlap mask and straw hair give him a rather spooky look. 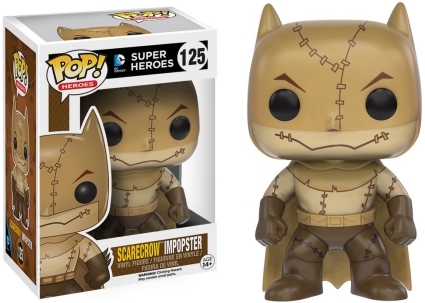 Of course, if you prefer a mix of Batman and Scarebeast, you might find the Funko Pop Scarecrow Impopster Batman to be the perfect option. Scarecrow POP Figure #195 Batman The Animated Series Funko New! 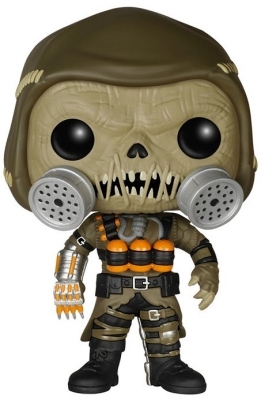 Check out related Funko Scarecrow figures with our detailed guides. Funko Pop Heroes BATMAN Arkham Knight HARLEY QUINN SCARECROW Set! Batman Impopster POP Figure Set: Harley Quinn, Riddler, Scarecrow, Penguin New!